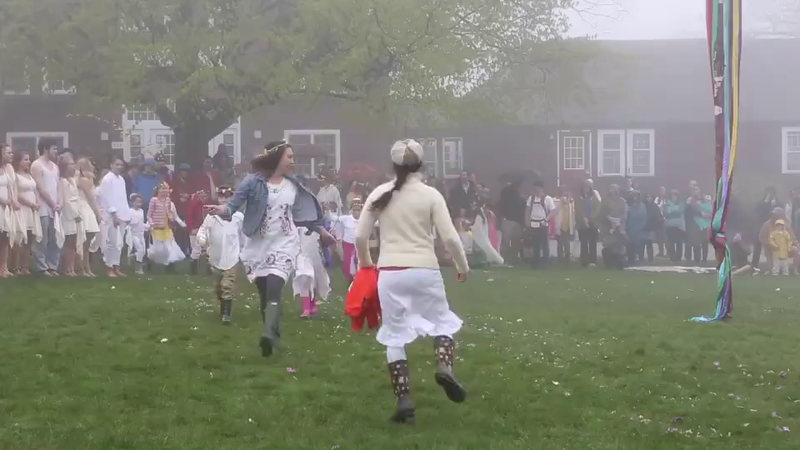 The Abbot Hill community, including High Mowing School, Pine Hill Waldorf School and Temple-Wilton Community Farm, will host its annual May Day Festival on Saturday, April 27, from 10:30am to 2:30pm at High Mowing School. The collaborative celebration of spring features Maypole and Morris dancing, live music, food and seasonal merriment for all ages. The festival will feature a performance by the Flying Gravity Circus, a community youth circus, with free interactive circus arts instruction for youth. Skit—Will King and Queen Winter go away or will they linger? Our Spring Musical concludes at 7:30pm after May Day on April 28. Performances of The Fantasticks will also be held Friday, May 26, at the Pine Hill Auditorium. More info here. Tickets for sale at the door. Box Office opens at 7 pm each night. $12/adults, $8/students and senior citizens (with ID).